At Wang Smiles Orthodontics, we specialize in orthodontics and dentofacial orthopedics for patients of all ages. We believe that we can provide a positive impact on your entire life through high quality orthodontic care. Dr. Aileen Wang, a board certified orthodontist, works to maintain and develop the high standards our office is known for. 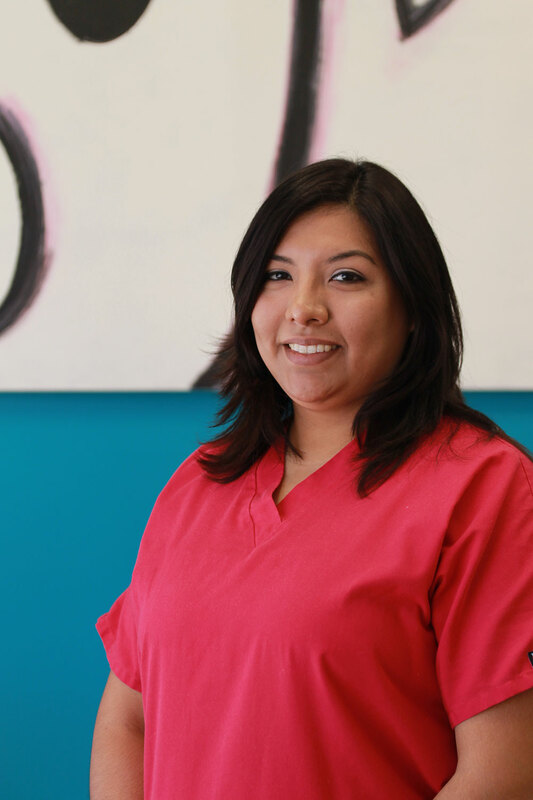 She and our excellent staff realize that braces are a life changing experience. Our practice will guide and educate you throughout this exciting journey. We welcome you and your family to our practice and we look forward to working with you to create the smile you deserve. We hope that what begins as a beautiful, healthy smile ends as a note that sets the tone of your whole life. We understand the hectic nature of schedules. We value our time with you but believe your time is your own. You can trust that your appointments will be on time with minimal or no waiting involved. For the busy parent, we also offer flexible after-school appointment hours. Contact our Houston, TX office today to schedule your complimentary consultation. We’ll give you that smile you truly deserve. 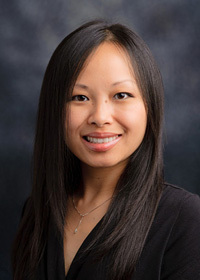 Serving Houston, Bellaire, and West University Place, TX (Texas) — Dr. Aileen Wang is your orthodontic specialist offering Invisalign, Clarity, and braces for children, teens, and adults. My main concern is providing you with the best treatment possible in an office and manner that puts you at ease. I view each patient as unique and personalize your care. Furthermore, I want you to feel comfortable and at ease. My team understands this and works with me to maintain a high standard of excellence. We love interacting with new patients and aim to provide the level of care for each of you that we would give to a member of our family. I was born in Shanghai, China, but grew up in Houston, Texas, where I have lived for over 20 years now. My husband is currently practicing as a general dentist in the Houston area. In our spare time, we enjoy spending time with our sons, friends, and our chihuahua. We also love to travel whenever we get the chance. I am very active in the community and like to attend neighborhood activities. I also sponsor events at local schools. Giving back to the community is an important part of being a health care provider. Let me be the first to welcome you to our office! I love to meet new people and create new relationships as I introduce them to our office. I enjoy listening to their stories and see their excitement as I tell them that it is possible to have the dream smile they have always wanted. 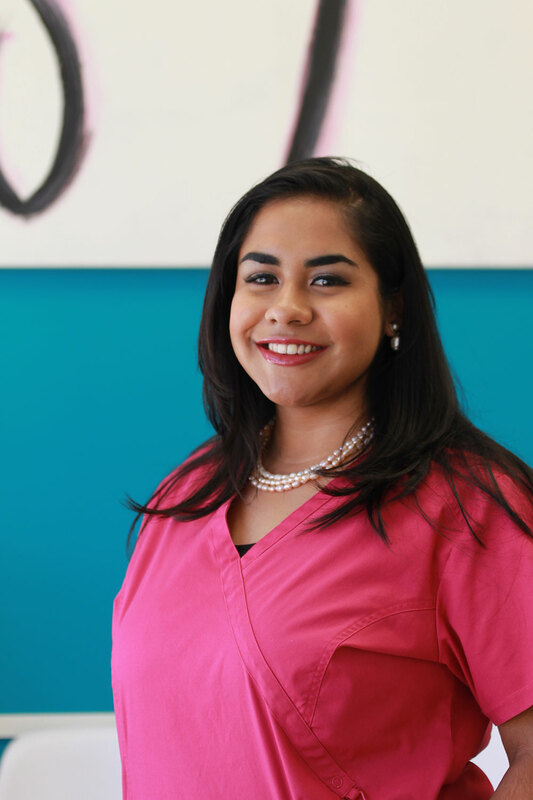 As Treatment Coordinator, I educate each patient about their recommended orthodontic treatment options and develop an individualized financial plan to fit within their budget. It is both a pleasure and an honor to be a part of the team here at Wang Smiles Orthodontics. I am confident that you will find that orthodontic treatment with our office is a fun and rewarding experience. We are thrilled to have you join our family! Outside of the office, I enjoy spending time with my family. We love surrounding ourselves with nature so parks and wildlife reserves are our favorite places to visit. I am also very involved in my community as I dedicate a lot of my time to sharing the treasures I have found in the Bible with others. I cherish opportunities to make new friends and I am most definitely looking forward to having the pleasure of meeting you! I warmly welcome you to Wang Smile Orthodontics! My name is Etna Loaeza. I've had the pleasure of being a Registered Dental Assistant since 2014. Throughout my career I have acquired knowledge in Pediatric Dentistry, General Dentistry, and Orthodontics. I look at each patient as if they were part of my very own family. I strive to create a pleasurable and comforting experience. Outside of the office I enjoy reading and spending time with my family. Memoirs ,biographies, and history are my favorite genres to read. I am a mother of two beautiful and fun children. In my spare time I like to attend festivals, poetry readings, and concerts. As of 2017 I have decided to further my studies. Currently I am student at HCC. In the future I would also like to pursue a degree in Biblical Studies. I look forward to being a part of every current and future patients journey in transforming their smile.